DETROIT -- General Motors Co. plans to move its struggling Opel brand more upmarket in Europe to compete with Volkswagen AG. In a presentation to analysts Tuesday in Detroit, several GM executives -- including CEO Dan Akerson and Chief Marketing Officer Joel Ewanick -- said the automaker needed to create distinct identities for all its brands. 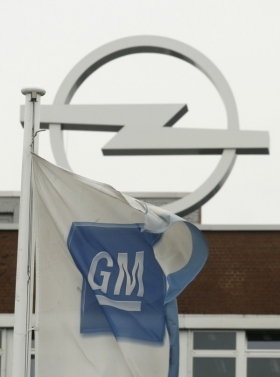 GM will trade on Opel's German heritage as a way to connect with consumers and chip away at Volkswagen's market share. Meanwhile, GM will push Chevrolet as its entry-level brand in Europe, Ewanick said. GM relaunched Chevrolet in Europe in 2005, but has struggled to grow its footprint there. In 2010, Chevrolet's European market share was 2.5 percent. "This is a market where Chevrolet will always have a difficult time penetrating," Ewanick said, referring specifically to the German market. "Opel, because of its heritage and because it's a German brand will be a very viable option for customers looking for a car in Germany, and gets us an opportunity to combat our Volkswagen competitor on their home turf," Ewanick said. Akerson said Opel only needed to grow slightly in order for GM to be competitive in Europe, specifically in Germany. "Where we lost most of our market share in the five years leading up to the bankruptcy is in Germany, so we need to revitalize that brand," Akerson said. "We've done it with Buick in North America. We need to grow market share with Opel by only a couple of percent because I believe we're on the cusp." In the first six months of this year, sales of GM's Opel and Vauxhall brands combined rose 2 percent to 549,125 units, while Chevrolet sales fell 1 percent to 92,061, according to estimated registration data from ACEA covering 28 European countries. Industrywide sales fell 2 percent to 7.5 million. Lately, rumors have been swirling that GM was looking to sell Opel, but Ewanick and Akerson each said they were committed to developing the Opel brand, despite GM's having lost $14.5 billion in Europe since 1999. "We don't comment on speculation, and there's been a lot of speculation. But I will say this: Opel is not for sale," Akerson told reporters last month. Akerson today said GM should "probably start manufacturing Chevrolets in Europe at some point in time." He added: "That's on our strategic to-do list."